I’ll never understand people’s fascination with taking today’s latest tech gadgets and blowing them to smithereens. Sure, it’s fun to watch, but all of those poor phones. 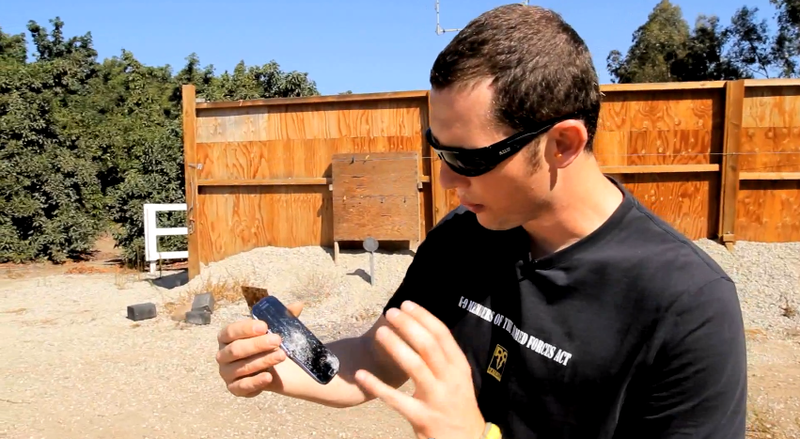 The newest video to hit the scene is RatedRR’s H&K MP7 versus Samsung’s Galaxy S3. I wouldn’t call it much of a “match,” seeing as how the Galaxy S3 doesn’t really try to fight back. Surprisingly, the S3 holds up pretty well.